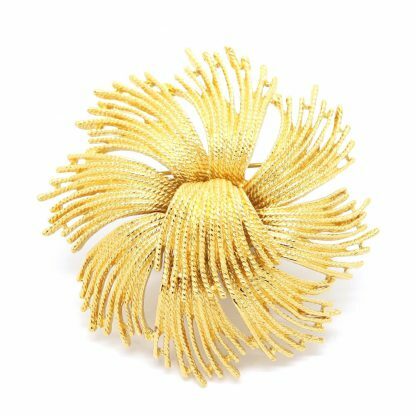 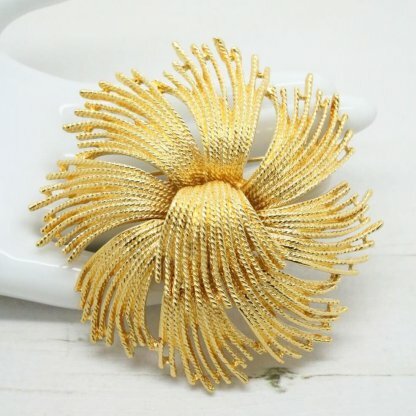 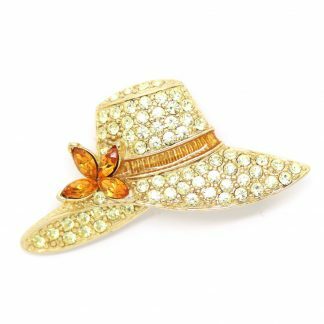 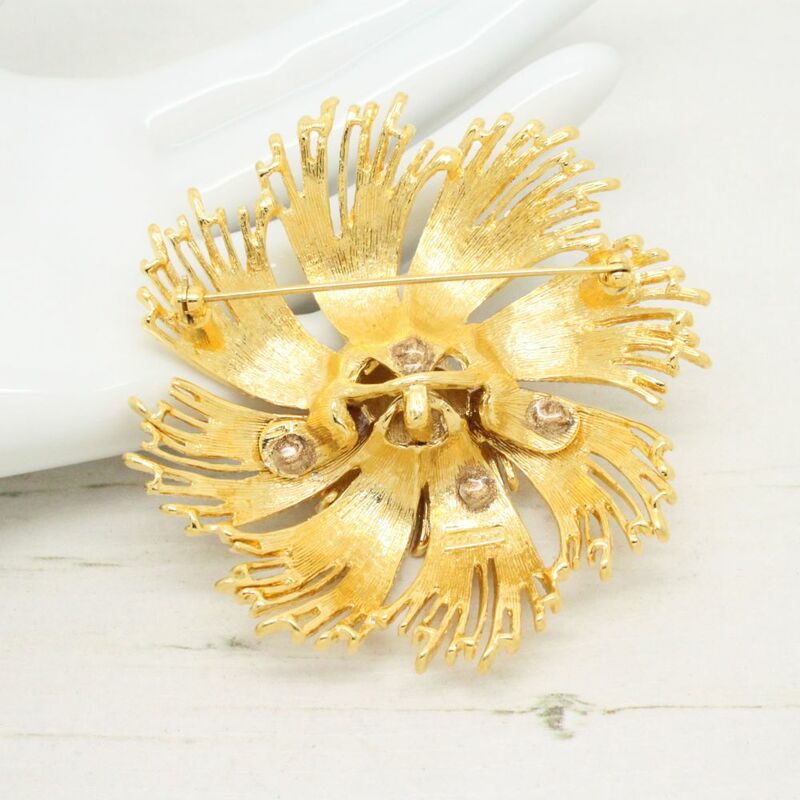 This brooch has been featured in numerous books, magazines, films and fashion articles throughout the years that it is a must for any collector. 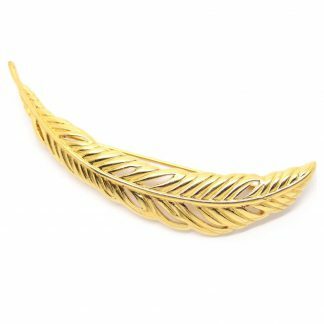 Measuring 7cm at tallest point this statement gold plated brooch would work perfect with any outfit for any occasion. 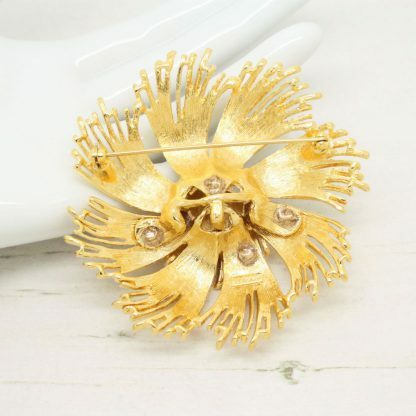 The brooch is in good condition showing slight to no wear, it appears unworn and ‘new’. 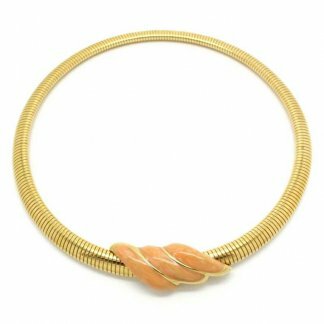 Complete with a strong roll lock clasp. It’s worth noting that the back of the brooch features 4 golden ‘blobs’ – A later addition to cover the fittings at the back which hold the brooch together in its individual shape.